The reaction was… quite frightening at times. It’s understandable given how badly this team have played, but you feel a little for Barkley who just had a horrific brain freeze. That might be his long term Chelsea career over, in all honesty. And he’s not the only one. If Hudson-Odoi doesn't play because he has to improve in the "defensive phase" then how in the world do the likes of Barkley and Alonso get in this team? 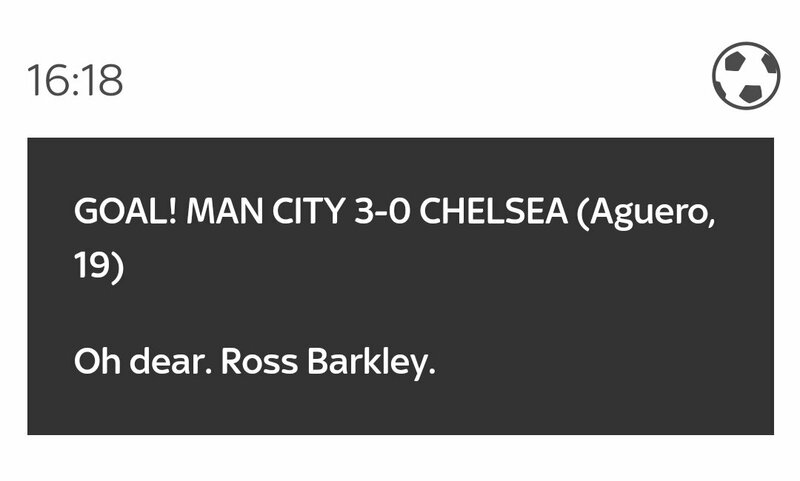 A rare assist for Ross Barkley.